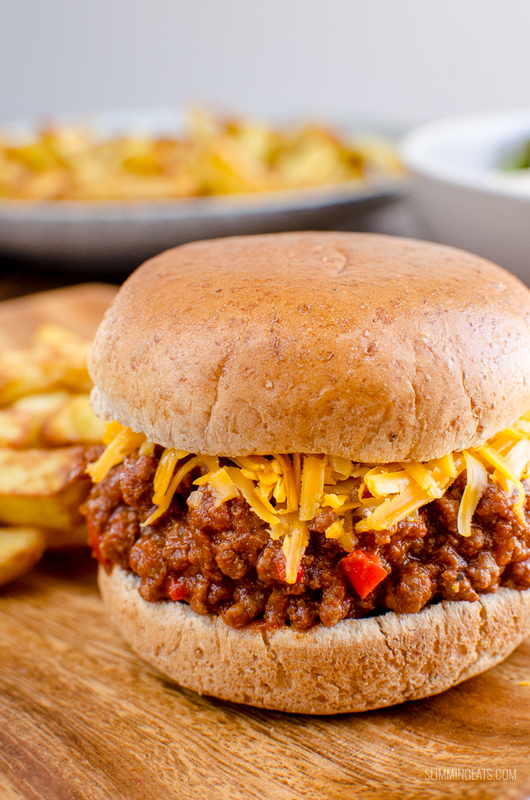 There is nothing more comforting and hearty than some Sloppy Joes mixture, sandwich between bread and some cheese. It’s a sweet tangy delicious combination and the whole family will love it. I must admit I didn’t even know what sloppy joes were until I went to the USA back in 2000 on a Student Summer Camp program. The name Sloppy Joes for one just doesn’t really sell it, does it? On the summer camp I worked on meal were all provided to both the staff and the campers. 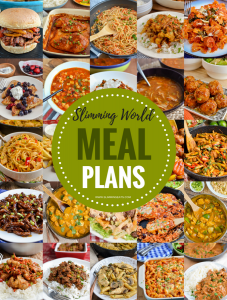 So you can imagine the kind of food I saw, very American, mostly unhealthy, but also not the kind of food you turn down – pancakes, hot dogs, burgers, s’mores, brownies, pizza, macaroni cheese, meatballs and sloppy joes to name a few. They did have a small salad bar too and healthier options, but when all the bad stuff is in front of you, its hard to resist. I am surprised I didn’t come back several stone heavier, but I think it was the fact I was pretty active most of the day that kept the weight gain to a minimum. 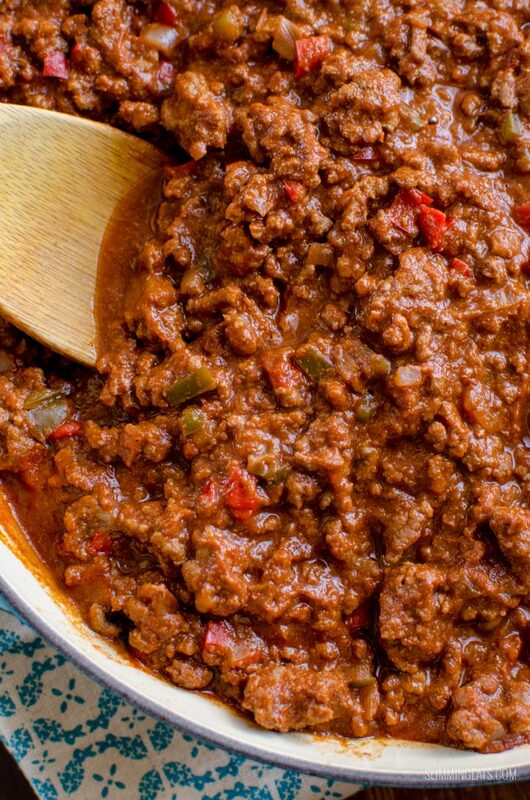 I was apprehensive the first time I tried a sloppy Joe at the camp, I mean it looked like. a burger, but the meat was well sloppy. Hence it’s name I guess. But I was actually surprised, it taste pretty darn good. Not a flavour that is easy to explain, a kind of tangy sweet deliciousness. 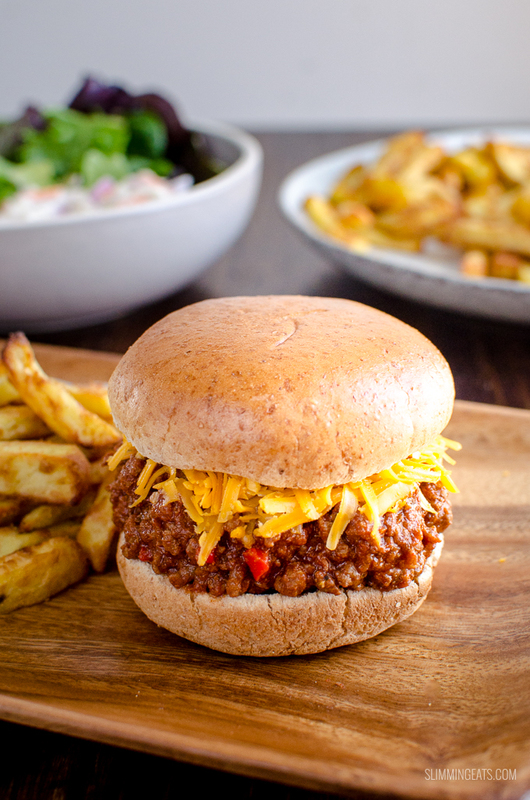 Of course now I live in Canada, sloppy joes are a pretty common occurrence, so it seemed fitting that I really should have a syn free version right here on my blog. I have cooked this both stove top and instant pot before and either way works well. No idea what an Instant Pot is? (check it out on amazon). It’s a 7in1 cooker, and it slow cooks, pressure cooks, saute’s, has settings for soup, chilli, rice, porridge and even makes yoghurt (I haven’t tried that yet). 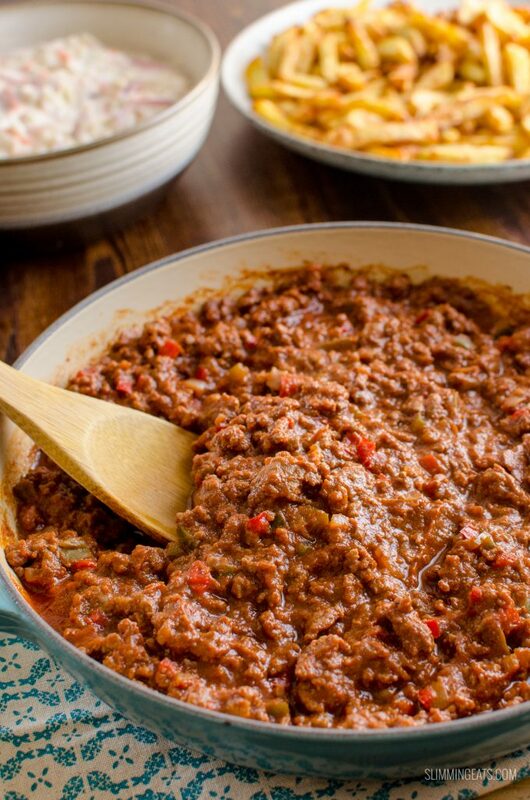 Traditionally Sloppy Joes would have sugar and tomato ketchup in the recipe, but those are pretty synful on Slimming World but can easily be replaced with some syn free ingredients, such as the ones I use in my recipe. 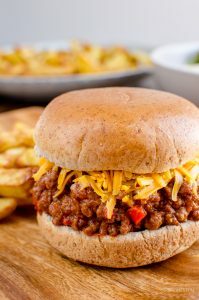 Once cooked, layer some cheese from your healthy extra allowance onto a healthy extra b wholemeal roll and then spoon a good spoonful of the sloppy joes mixture on top of the cheese and sandwich together, the more meat mixture you add the better. 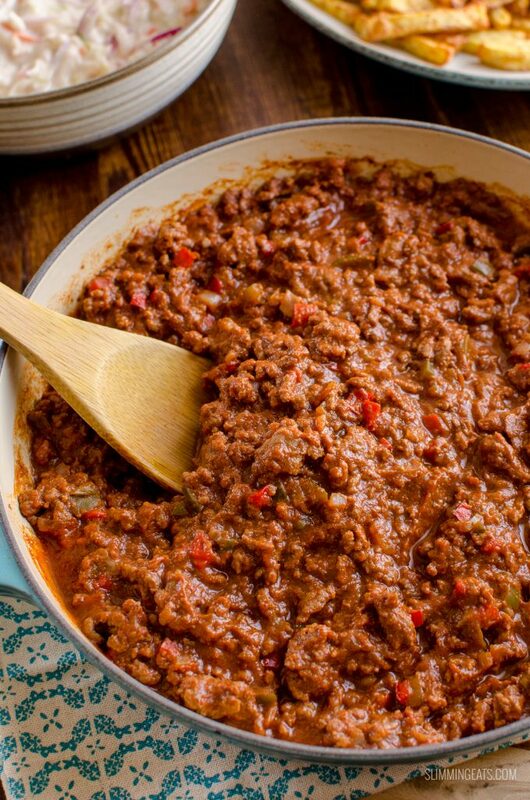 You really have to replicate that sloppiness for a true sloppy Joe. My kids love these and I always make a big pot whenever I cook this, so I can tub some up to freeze. Leftovers are always a plus right? Use a HEb allowance of bread and cheese from your HEa. Spray a large pot over a medium high heat with some spray oil, add the onion and fry for 5 mins till golden. Add the red pepper and green pepper and stir to mix. Stir in all other ingredients, bring to a boil. Reduce heat, cover and simmer for 40 mins. If sauce reduces down too much, just add a little water into the pot. Once ready season as needed with salt and black pepper. Spoon onto 60g (2oz) wholewheat rolls with some cheese from your healthy extra a allowance. Add all other ingredients, add lid, close valve and set to 15 mins high pressure, allow pressure to release naturally. Set to saute mode with lid off just to reduce down any excess liquid if needed. Syns and Nutritional Information is for the Sloppy Joe meat only. Nutritional information is an estimate and is to be used for informational purposes only. Ingredients can vary greatly from brand to brand and therefore it would be impossible to give accurate information. You should always double check syn values for synned items. This was absolutely delicious! Popped it in the slow cooker when I went to work, worked its magic and tasted awesome – thanks Slimming Eats! Felt like a treat in a bun with cheese and chips but full of speedy veg. Made enough for a second day and it only got better overnight. We don’t have sloppy joes here in England so I thought i’d make this and see what they are like. Yummy!! Kids really liked it, I liked it other half devoured it in minutes lol – guessing he liked it!! Then I made the pasta bake with the leftovers, amazing! This will be one recipe that will get repeated in our house! Hi Greetings from the UK. I’ve only just discovered your fabulous blog.. I’ve just subscribed. I don’t use Sukrin. Could I sub with maple syrup or brown sugar? . 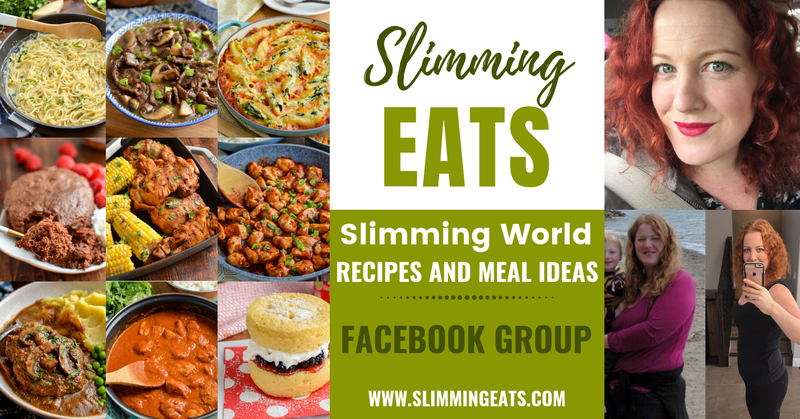 Do you know the sugar gram equivalents are to a 1/4 cup Sukrin (which I’ve not heard of – excuse my ignorance) Have you ever made it using slow cooker? which is what I was thinking of doing. Do you think I should change anything if I make it this way? Ie less liquid. BIG THANKS! Hi Nina, sukrin is equal to sugar in weight, so you would use the exact same. You can totally sub with maple syrup or brown sugar, just be sure to adjust syn value. Enjoy and thanks for taking the time to comment. thanks for replying, very much appreciated. 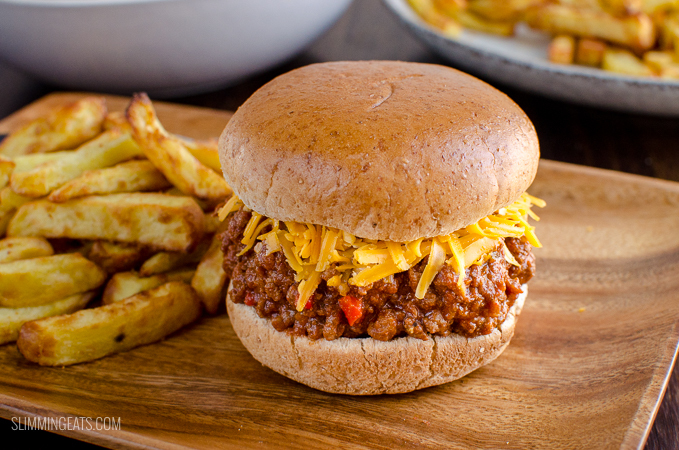 yes you can use quorn – enjoy! !